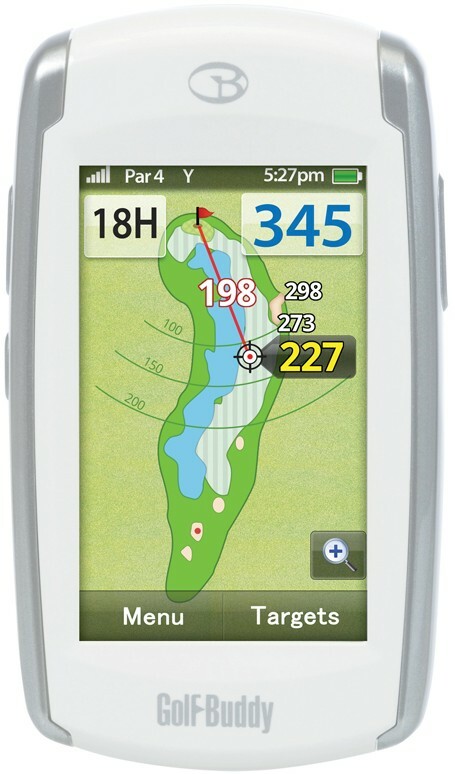 Most golfers have come to realize the advantages of using a GPS device for determining how far it is to the pin, distance over hazards, yardage to lay up, etc. There are several good units on the market and based on my use, the Golf Buddy Platinum is at the top of the list.Though on the market for some time the Platinum model still stands out as one that does the job plus it has some very attractive features beginning with there’s are no extra charges to download courses. Some 36,000 courses worldwide come preloaded and updates are available at no cost thus removing a drawback of those devices that charge for course information. To use the Platinum just turn it on. It recognizes the course you’re playing and when ready a message appears on the screen to proceed to the first tee. The color screen is large (3 inches) and easy to see, even for those of us who need reading glasses, plus the image stands out well in the sun. Another of the Platinum’s handy features is the touch screen that allows movement of the pin icon around on the green, updating the distance at once. This function also will show yardage to points determined by the user, not just to standard course features as with some other units. Shot distances can be measured easily as well so that tee shot you think went 300-yards can be verified and there are other statistical tracking functions as well as score keeping for your entire foursome. 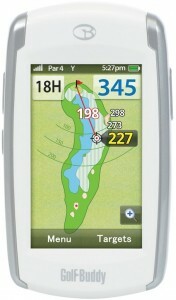 All in all the Golf Buddy Platinum is well worth the money and on golfbuddy.com it is selling for $349.